In much of the consulting we enjoyed with Small Businesses and other clients in 2014 the conversation revolved around developing an updated understanding of how internet marketing and essentially — communication — works nowadays. 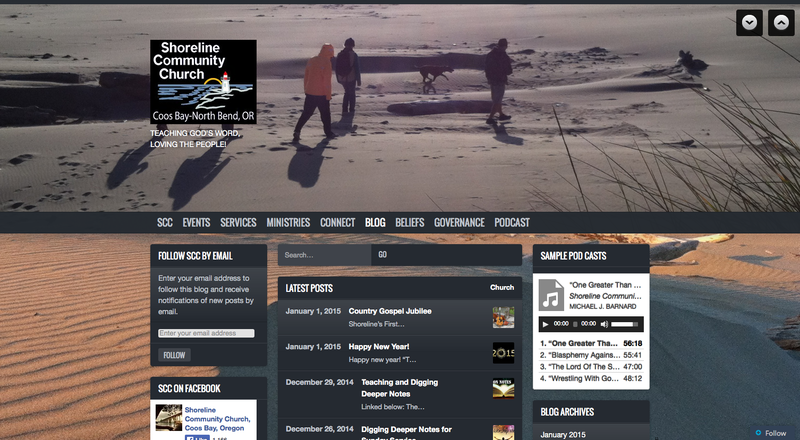 Shoreline Community Church integrates their Web Presence to Facebook, Podcasts at the Apple iTunes Store, Sermon Videos at Utube.com, Twitter and plans to take their “Photography” ministry online at Pinterest. Gone, long gone is the age of Email and the Static Website. These have their place, however, but only as anchoring facets among a symphony of other features. What do I mean by anchors? Following on, however are updating aspects of Direct Mail. If you’re emailing lists of followers or clients from your personal account? You need to adopt a more mature posture. We recommend you investigate MailChimp.com. Start for free, move onto the platform and enjoy the benefits! The issue isn’t so much one of being able to “program” your web presence as being of a mind to first interconnect to the services your viewers / followers are most likely to use. Making your content available to them in the channel they most prefer means that you’ll be on their radar with better regularity. If I see Twitter 20 times per day and Facebook twice? I’d more likely notice your stuff in my Twitter feed. But don’t fall into the amateur trap of inconsistent branding across SM Channels. Use the same messages and images / colors to help folks recognize you. None of this is expensive. It just takes an awareness at a high level. On must see the chess board from a high elevation. An affordable and powerful Web Presence is the best resolution we can offer. Get one! 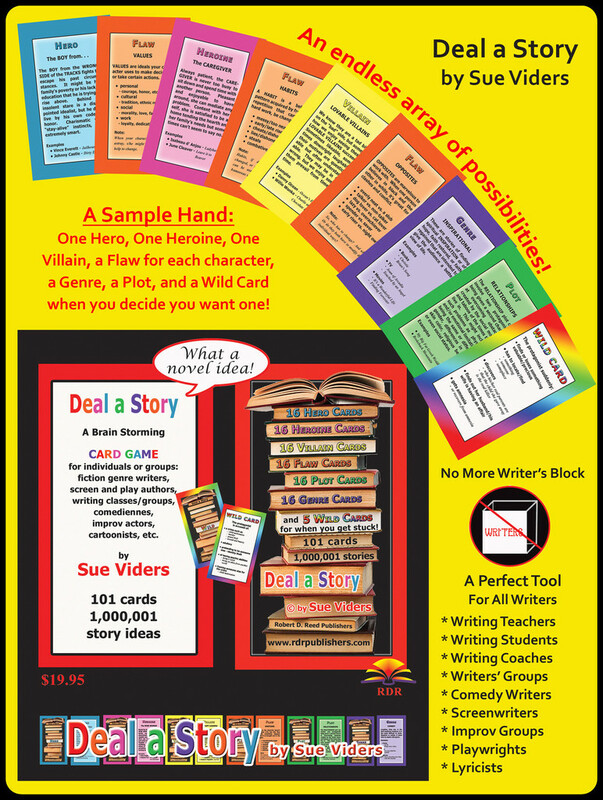 Deal-A-Story cards by Sue Vidders. Offered for sale online at RDRPublishers.com new web presence. As much as one client invested preparing to advertise online (and this is a very worthwhile endeavor) a single properly placed dialogue in social media resulted in 10X sales over a short period of time for a particular offering. Doubt the power of Social Media to advance your business at your own Risk. Posted in Best Practices, Client News, Disruption, Social Media.Tagged Content, Engagement, Going Social. #HighTechTruant, social media, Social Media Marketing, web presence. Previous Post Content Intelligence — Does Search “Grade our Work”? Next Post Direct Marketing in the Digital Age – Emailing Client Lists?